Heart shaped pleated satin keepsake box with silver chalice charm. 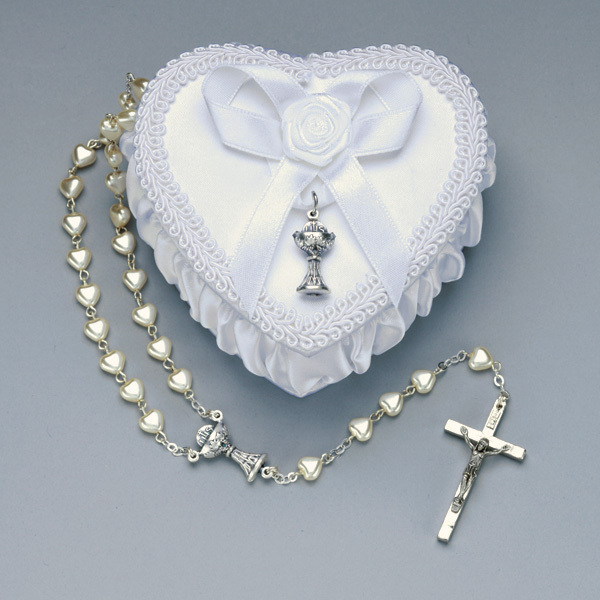 Available with or without heart shaped rosary. All items are F.O.B. factory. Prices are subject to revision without notice, please contact us to confirm current price.